Cindy Charlier brings more than 30 years of practice experience to dentistry continuing education. 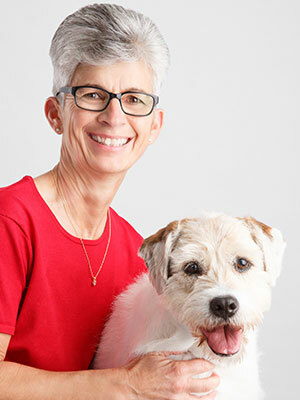 She was a general practice owner for 19 years and became a board certified veterinary dentist in 2002. She is currently devoting her time and energy to teaching others about veterinary dentistry through VDENT (Veterinary Dental Education, Networking and Training). She believes that each of you can make a significant difference in the lives of your patients by properly recognizing and treating oral disease! When she isn't teaching Cindy can be found on the golf course, riding bikes or enjoying her garden. Veterinary dentistry requires the utilization of intraoral radiographs to properly diagnose and treat oral disease. Learn how to properly interpret radiographs and make treatment decisions. We will review normal canine dental radiograph anatomy and radiographic signs of periodontal disease, tooth resorption, endodontic disease, and neoplasia. Following the review we will present cases to test your newly acquired knowledge!